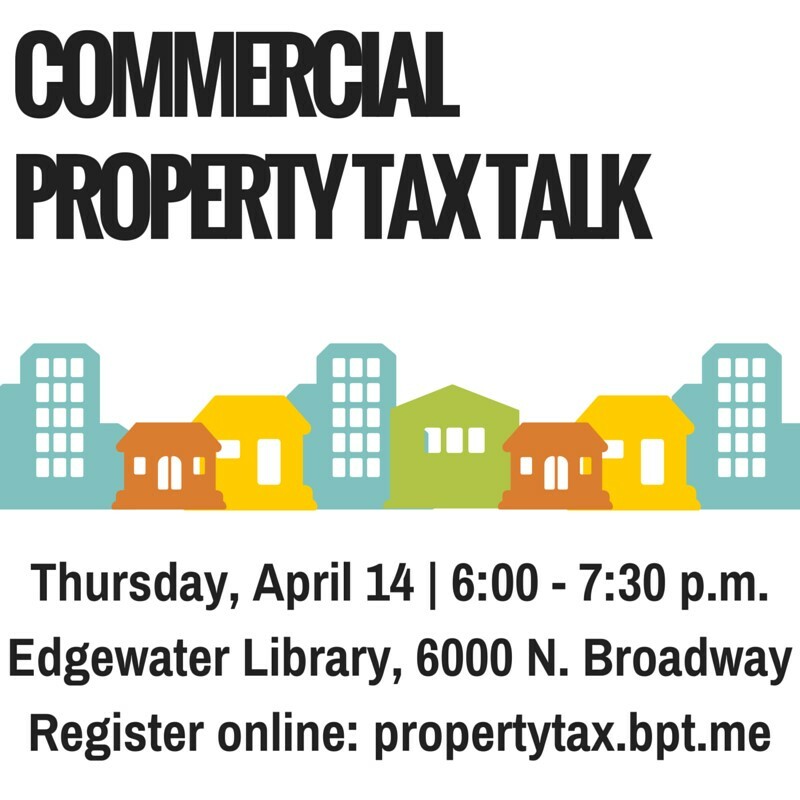 Andrea Raila of Raila & Associates PC will discuss how and when to appeal your property tax assessment. This workshop is geared toward commercial property and business owners. Learn how to lower your tax bill, get proper tax exemptions, tax refunds, understand market value reassessment notices, and use self-help governmental websites. This workshop is free to attend, but seats are limited. Please register to reserve your seat. This event is made possible by a partnership with Andersonville Chamber of Commerce, Edgewater Chamber of Commerce, Edgewater Development Corporation, Business Partners - The Chamber for Uptown, and Uptown United.